Levontin 7 presents its annual 360° Piano Festival 2019, with performances through April 9th. Moving from its usual place onstage, the piano will be in the center of the room, surrounded by the audience for a 360° performance. 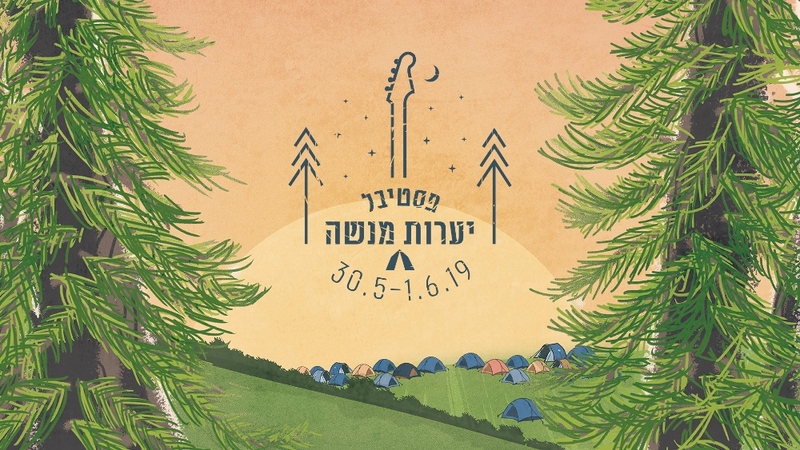 Performers include: Daniela Spector, Noam Rotem, Zeev Tene & Udi Bonen, Flora, Adi Rennert & more…The full program is available on this link. April 1st – Aya Zahavi Feiglin (I Got the Hotties) at 20:00 with new material as well as songs from her albums. Tickets are 52 NIS in advance/60 NIS at the door – order online via this link. Yotam Mahler with materials from his upcoming debut album. Doors open at 22:30. Tickets are 42 NIS in advance/50 NIS at the door – order online via this link. Omri Mor & Abate Berihun at Levontin 7! Onstage: Omri Mor – piano, Abate Berihun – saxophone & vocals, Elad Levy – Kamancha, Avri Borochov – bass, Amir Bresler – drums. Doors open at 20:00. Tickets are 73 NIS standing/84 NIS seated – order online via this link. The Betty Bears at Levontin 7! The roaring 20s come alive New Orleans style…Tickets are 63 NIS advance/70 NIS at the door – order online via this link. Jenny Penkin at Drama (Nahalat Benyamin 52)! Doors open at 20:00, show at 22:30. Admission free. Magbirim et HaBarby – super-charged rock concert with: Tiny Fingers, Electric Zoo, Hoodna Orchestra, Acid Moon And The Pregnant Sun, Gcg737, Kama Vardi – ??? ??? ?, Los Caparos, SABABA 5, ??? ?????. Doors open at 20:30, show begins an hour + later. Tickets are 85 NIS in advance/95 NIS at the door – order online via this link. Yossi Sassi & the Oriental Rock Orchestra at The Zone (HaRechev 13)! Celebrating 5 years to the album Desert Butterflies. Doors open at 21:00, show at 22:00. Advance tickets are 65 NIS (95 NIS at the door) – order online via this link. Eli & The Chocolate Factory at Hoodna Bar (Abarbanel 13)! Swing, Blues & New Orleans Jazz – dance your worries away! Doors open at 21:00, admission 50 NIS. Rachel Yaron will launch her second album at Kuli Alma (Mikveh Israel 10)! Onstage: Michael Hershlikevitch – guitar, Roy Dotan – bass, Maya Avramovsky – drums. Doors open at 21:00, show at 22:30. Admission free. Di Gasn Trio at the Cameri Theatre (Sderot Shaul Hamelech 19)! From Feidman to Kusturitza – the worlds of Klezmer and Balkan music. Show begins at 21:00. Tickets are 100 NIS – order online via this link. Blues on Fire – Andy Watts, Roy Young & Danny Shoshan at Terminal 4 (Yehezkiel Kaufman St. Hatahana). Doors open at 20:00, show starts at 21:00. Tickets are 85 NIS in advance/95 NIS at the door – order online via this link. Farafi & ANNA RF at the Barby (Kibbutz Galuyot 52)! Doors open at 20:30, show begins an hour + after. Early bird tickets are 75 NIS/advance 95 NIS/115 NIS at the door – order online via this link. Gellert Groove Experiment at Beit HaAmudim (Rambam 14, Tel Aviv)! Groove with Ethiopian-Afro Funk influences. Onstage: Elad Gellert – Saxophones and effects, Ilan Smilan – Guitar, Amir Sadot – Bass, Haim Peskoff – Drums. Doors open at 21:00. Love is all you need – Efraim Shamir, Yoel Lerner & Moti Dichne sing the Beatles at The Zone (HaRechev 13)! Including the songs: Let It Be, Lady Madonna, Here Comes the Sun, She Loves You, Yellow Submarine & more… Doors open at 21:00, show at 22:00. Tickets are 75 NIS in advance/90 NIS at the door (kids under 14 – 37 NIS) – order online via this link. Mimouna Party with Music from the Blue Desert – Yossi Fine & Ben Aylon at the Cuckoo’s Nest (Noam 1, Jaffa)! Doors open at 20:00, admission free. Men of North Country at Herzl 16! Doors open at 21:30, show at 22:00, admission free!